FUE (Follicular Unit Extraction) Transplant devices have been improved in the last few years. Among the new methods are different devices for making the procedure more automated. US Hair Restoration is a leader in hair restoration and is launching a new research to compare different methods of hair restoration with FUE method. The study will be goin on between May and July of 2010. There are only a few spots available for the participants of the study and candidacy of the patients should be determined by US Hair Restoraiton first. Who is a candidate for our FUE Study? Please make an appoitment to be evaluated by Dr. Mohebi before planning for your surgery. 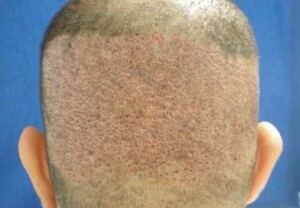 You will be spending one hour with the doctor and at the end you will have a master plan for your hair loss treatment. The discounted rate of the FUE does not apply to any of our other hair transplant procedures being offered at our offices. Applicants can call 1 (800) 302-8747 to schedule their free consultation with Dr. Mohebi. We will be comparing manual techniques with Neograft and Harris’ Safe System that are amoung the leading companies in automated FUE industry. We hope that by performing this study, we will be able to make more clear the advantages and disadvantages of each method and eventually adopt one of them for our regular use in the office of US Hair Restoration. The results of this study will be released on our website and in future medical literature.